OAK BROOK, IL, October 18, 2017 /24-7PressRelease/ — As many know, the Freedom Golf Association’s (FGA) “Honor Wounded Vets 5K Run/Walk,” originally scheduled for October 15 had to be postponed due to flooding on the McDonald’s Oak Brook Corporate Campus (2715 Jorie Blvd., Oak Brook, Illinois 60523). The event has been rescheduled for Sunday, October 29. The event also will raise funds to support adaptive golf programs for these individuals. 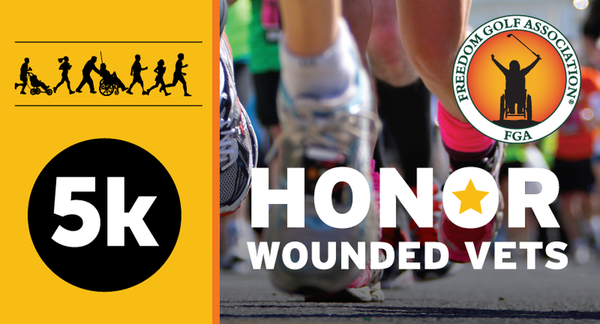 The Honor Wounded Vets 5K Run/Walk will include timed and untimed tracks in Men’s, Women’s and Wheelchair Divisions. Additional activities include vendor booths, chipping and putting demonstrations, and the opportunity to take a self-guided tour of McDonald’s Hamburger University. Live music will be provided by the Elmhurst College Jazz Band.